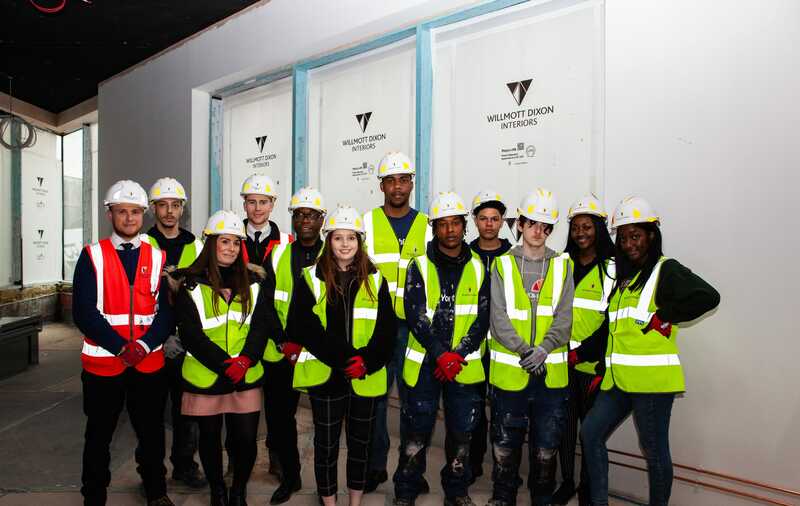 Willmott Dixon Interiors led yet another successful Open Doors week with four projects opening their doors from 18th – 22nd March. 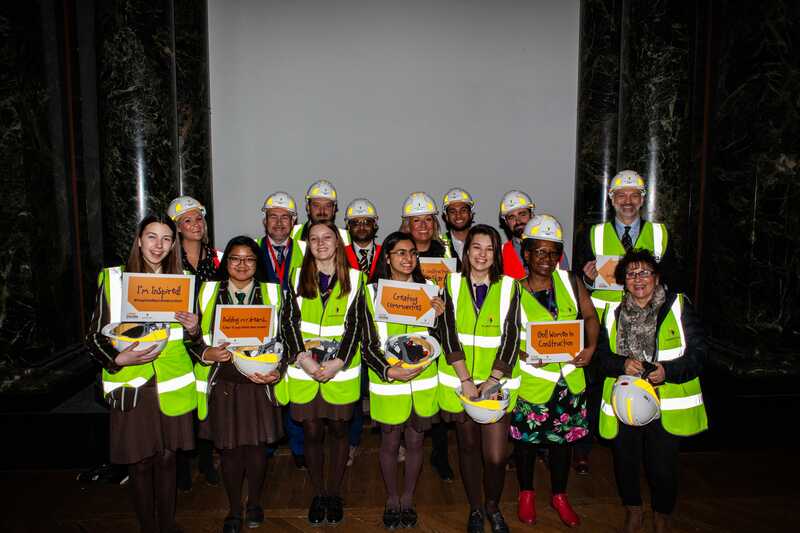 The projects which included nhow Hotel, London Screen Academy, The National Gallery and Department of Health’s Quarry House showcased fantastic examples inspiring the next generation to consider a career in construction. 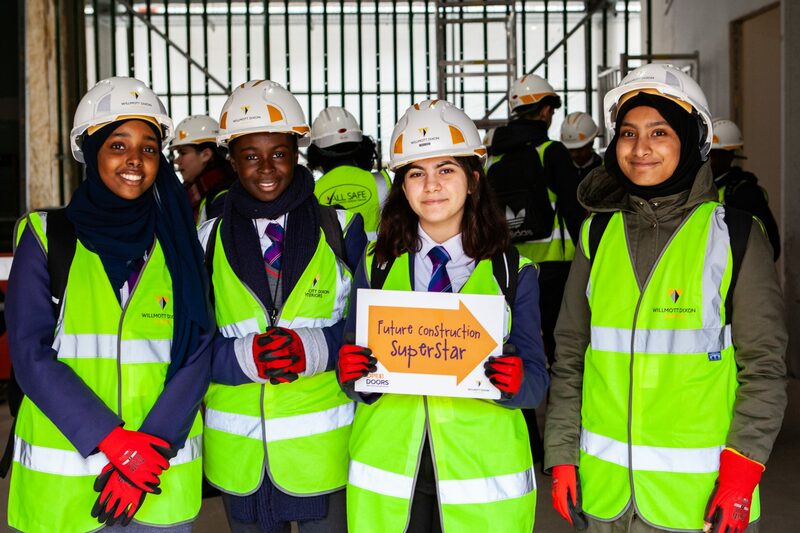 Both schools and members from the local communities were able to visit each site, speak to the teams behind the projects, discuss various career prospects and see first-hand the works that are being carried out on site. 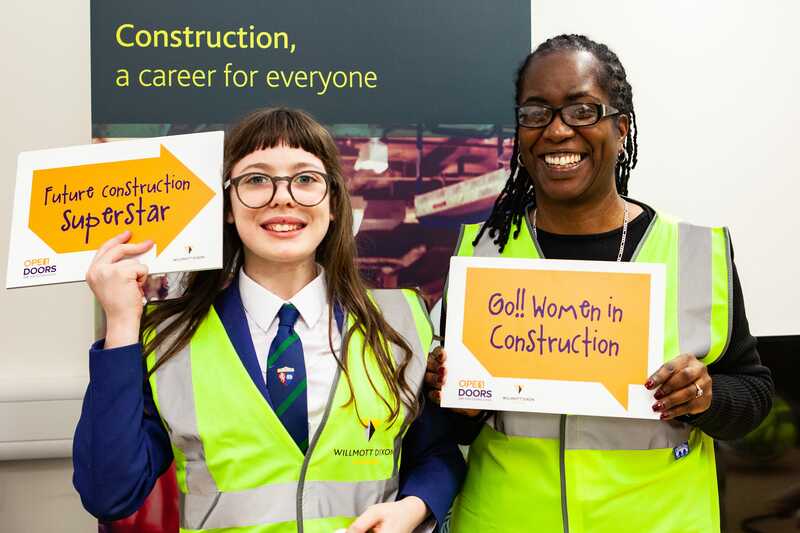 The talks also raised awareness of flexible and agile working as well as equality, diversity and inclusion in the construction industry. Our Project at the National Gallery, The One Gallery Project, involves the complete refurbishment of Room 32, the largest gallery within the National Gallery as well as the refurbishment of parts of the existing basement and ground floor areas. 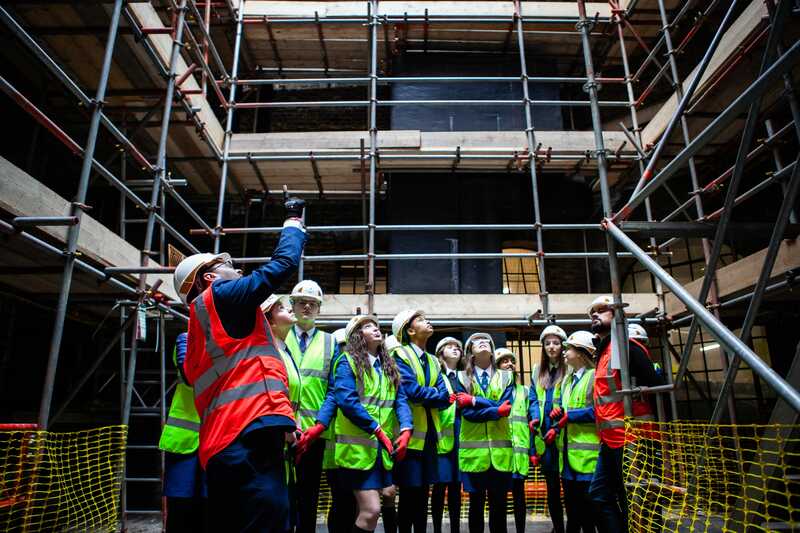 School children from local communities were provided with a tour of Gallery 32 as well as the two light wells within the Grade I listed building. 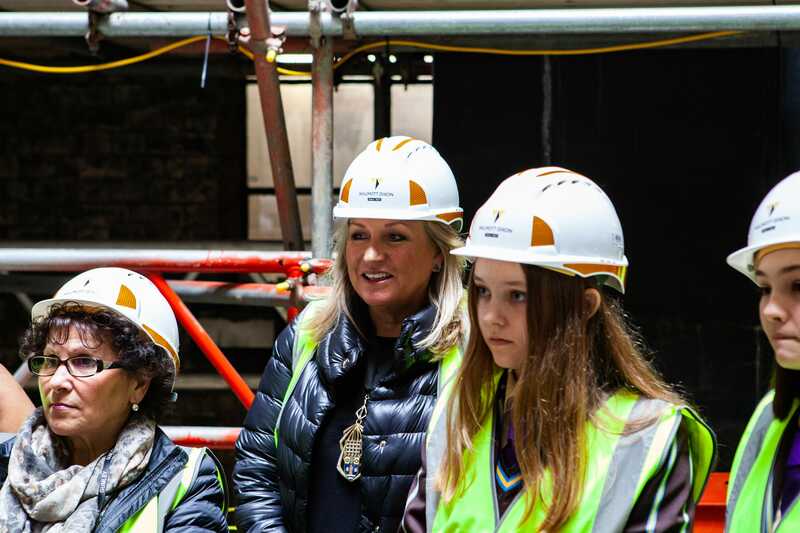 During the week, we welcomed the Lord Mayor of Westminster, Lindsey Hall, who joined us for the site tour along with a local girl’s school. Over at London Screen Academy, where we are creating the UK’s first specialist Film School, our team opened their doors to members of the public and local schools. The refurbishment will give the building a major internal reconfiguration as well as adding a new steel frame structure which will provide a three-storey film production studio and supporting facilities. 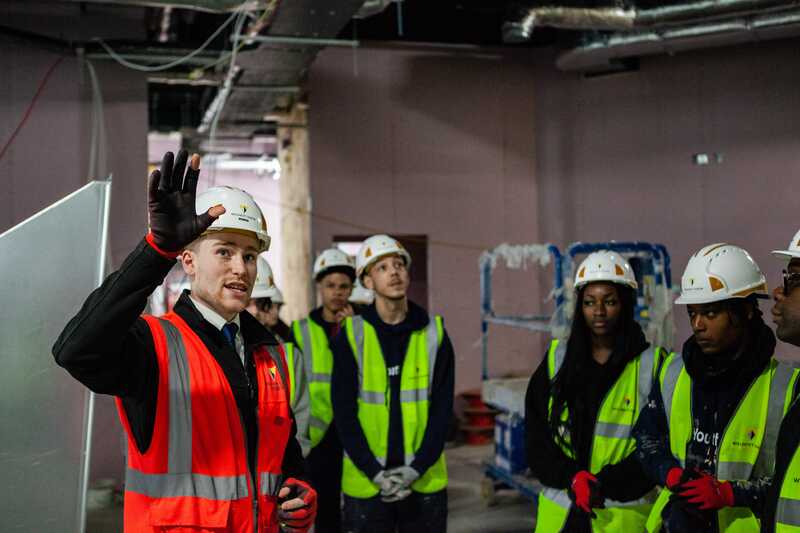 Along with a tour of the school, our Trainees from the project provided an insightful talk on their path into the Trainee Management Scheme and how it will shape their future career. Willmott Dixon Interiors are currently creating the UK’s first Nhow Hotel. The uniquely designed hotel incorporates the history of London whilst combining it with a modern twist. Visitors to the site were provided with the opportunity to see a variety of areas of the hotel ranging from the Basement and back of house areas to the sample room, which provided an opportunity for those visiting to see what the rooms will look like on completion. Located up in Leeds and our second project for the Department of Health, Quarry House, was our final site to participate in Open Doors 2019. The project consists of the formation of new meeting rooms, tea points and an upgrade to the current facilities. Visitors were able to see first-hand Phase 1 of the project along with a talk from the site team about the variety of roles on site. Overall a great week was had by all involved with Open Doors 2019. 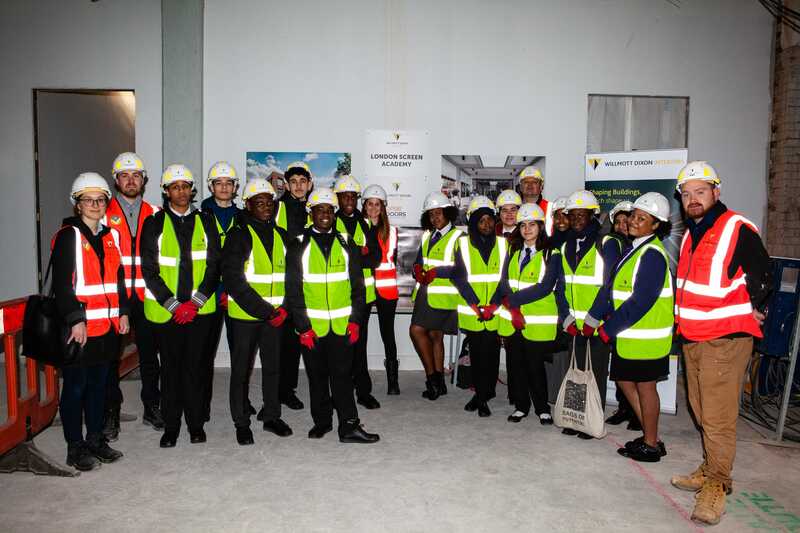 As a company it was inspiring to see the next generation show a keen interest in a career in construction.